It’s not often that I am able to witness the Birth of a new chapter in a person’s life. This year, just such an opportunity has arisen. I met Cava almost two decades ago, when my husband and 2 friends joined a musical endeavor called Emperial, for which Cava played keyboards. During that time we became good friends, enriched by the shared experience of being pregnant at the same time with our sons. 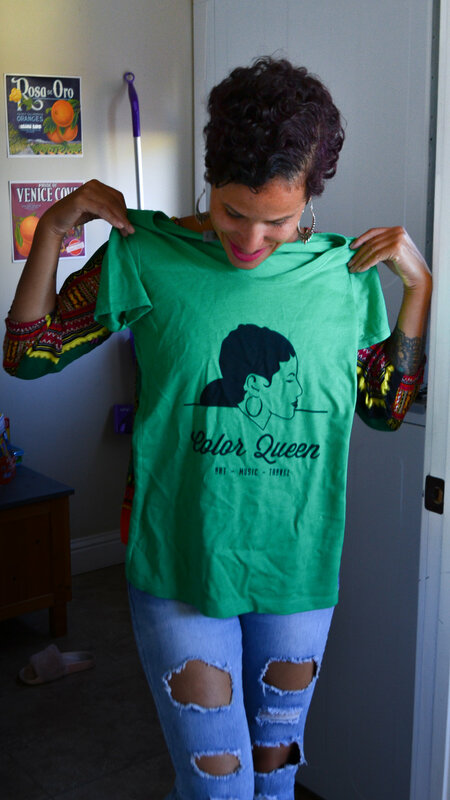 Oakland artist Cava Menzies is a dynamic and highly motivated woman. She moved from Oakland to Florida to earn her Master’s of Music, then back to become one of the founding faculty members at Oakland School for the Arts, where she is now Artistic Director. I remember visiting her apartment back in the early days, and being inspired by how she and her room mates expressed their passions and artistry throughout their modest living space. Over time she has remained committed to living the Artful Life. Cava has been with OSA (Oakland School for the Arts) for 15 years, and in the course of her work has become accustomed to holding space for processing the many experiences and sometimes traumas that her students go through while in her care. It can be easy to lose oneself, fulfilling that kind of role for other people’s children, while parenting your own child. Back in 2001, she put the words from the Maya Angelou poem, “A Conceit”, to music in a song called, “Make Room For Me”. She says that it stemmed from the feeling that she needed to have the space allowed for herself to be herself. This year the song became the lead track on “Balm”, the album she released in May. We also talked about the seemingly relentless wave of painful events happening around us, and the need to heal ourselves, rather than look for an external source of healing. She expressed that specifically, after the loss of 2 students through violence. Creating “Balm” was that healing for her. Simultaneously, as she reached 40, she came to realize she needed to act on the other avenues of creativity that were inside of her, in addition to music. During our conversations, the subject of the non-stop nature of our lives came up. We talked about how often we pride ourselves on how busy we are, wearing that busy-ness as a sort of badge of honor; a way of proving our worth to ourselves and to others. In order to really come into her power as a deeply feeling human being, she has recognized it is also necessary to get still. 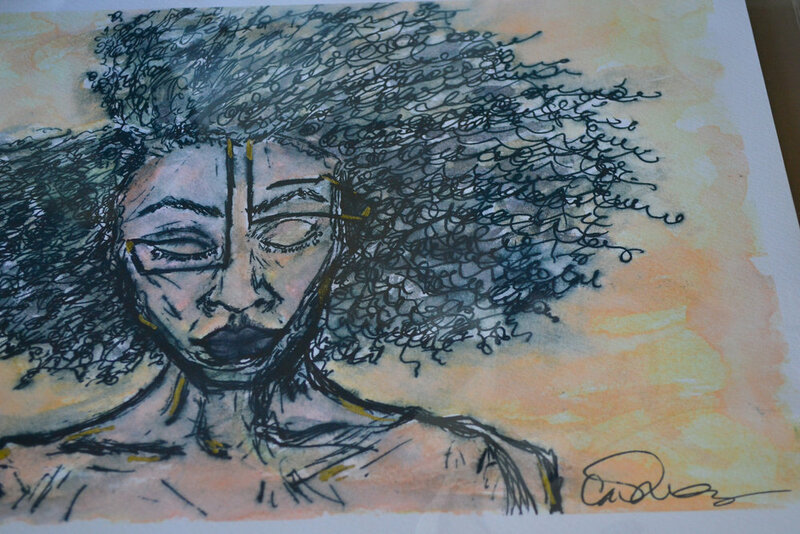 She had picked up some art supplies on a whim back in March of this year, and through these new mediums she found a peace in the process of creation. And when we spoke during the summer, she was in the midst of allowing herself the full freedom to see what unfolded as she began to explore painting and drawing. This unfolding began Color Queen. When we spoke she was still unsure of what Color Queen would encompass, as it was organically developing to include her interest in travel and photography, as well as creating pieces with ink and watercolor. As a woman of color with a White mother and a Black father, navigating the space these two identities create, Cava describes herself as a “Bona Fide Hybrid”. Why, she reasons, should her personal brand be any different? I, for one, am excited to see what it becomes.